Dulces Lizeth gives a unique twist to traditional lollipop candy, withspoons substituting lollipop sticks. These spoon suckers made withNatural Tamarind and chili, have a deliciously tangy flavor combinedwith the sweet and sour flavor of the tamarind fruit. It's a spoonfulof fun in your mouth! 100% natural candy...because its the original spoon suckingtreat. 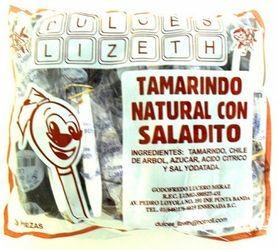 Ingredients:tamarindo, Arbol Chile Pepper, sugar, citric acid and Iodized salt. 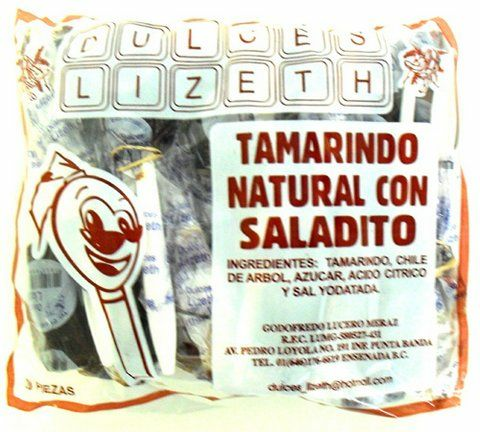 Dulces Lizeth le da un giro original a las tradicionales paletas, ya queeste dulce de tamarindo natural con chile viene servido en cucharas.Estas golosinas tienen un delicioso sabor enchiloso combinado con elsabor agridulce del tamarindo. Son una cucharada llena de diversion ydelicia! Ingredientes:tamarindo, chile de arbol, azucar, acido citrico y sal yodatada. These are my absolute favorite and difficult to find...soo incredibly happy I found them on here. My brother in law originally brought these from Mexico and I have been on a hunt to find them here. Found them!!! This is a wonderful product. I love the flavor and spices in it. I will be telling others to try this website ! Consstickiness when picking it up and unwrapping.